angus.org To view complete pedigree page and EPDs, click on the provided link and enter the Reg. # in the Animal Search Box at the top right-hand corner of the page. Actual BW 83 lbs. Weigh Date: 4-10-19, 1332 lbs. Dam has 5 calves with an average 205 day wt of 710 lbs. 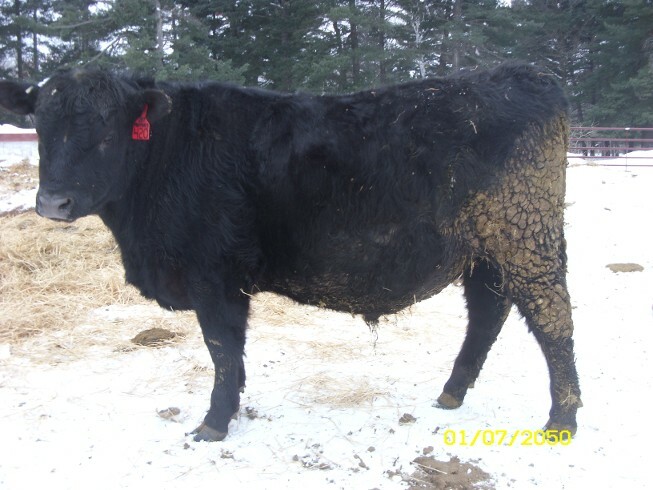 R-420 gained quite well on the cow weaning off at over 700 lbs, yet only ratioed 93. That tells me there was one heck of a calf crop for 2018. Weaned off 720 lbs. @ 218 days. A.I. calf out of G A R Prophecy. .